There hasn't been much appearing on A United View over the last week or so. I know that you will all be gutted about this and thinking, "but where can I read some more of your wonderful football prose?" The answer can be found in a number of places. Finally, I answered a few questions for the Scunthorpe Telegraph's Spy in the Camp feature, ahead of the Blades' visit on Saturday. I last did it two seasons ago and it is not quite as depressing this season, although we are both a division lower.. There is no web link but if you are in the area, the paper is published every Thursday. 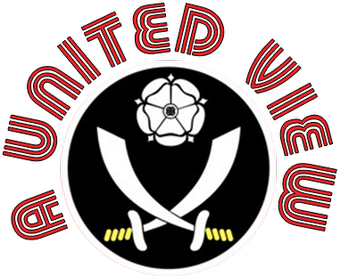 Upcoming on A United View, a pre Non League Day trip to Oliver's Mount to watch Handsworth FC and maybe something on the Huddersfield Town fans boycotting their trip to Bramall Lane over ticket prices. I'll have to see if time allows.